Note: I followed http://forum.blockland.us/index.php?topic=66763.0 and http://forum.blockland.us/index.php?topic=157886.0 in order to set these up. Since the pictures had expired, I had to go off the text and this is the best I comprehended. 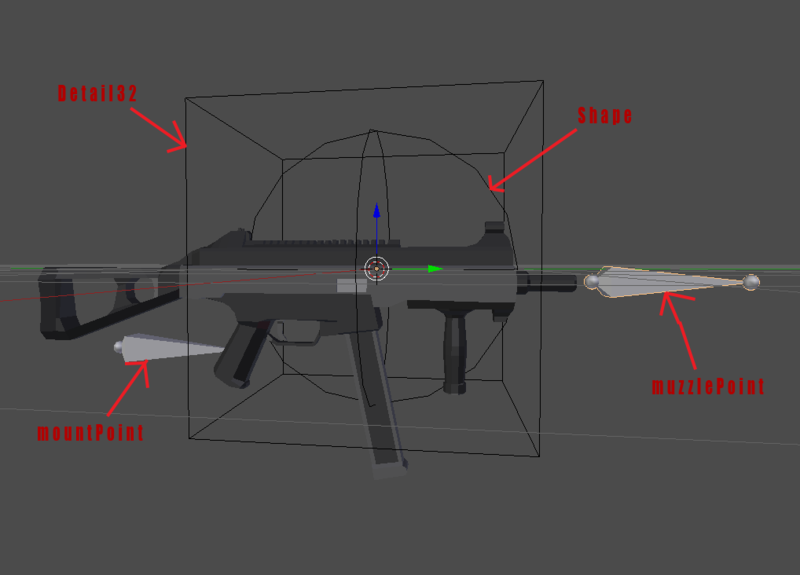 The gun is the correct scale and centered because I based it off the blockland hands rig.